Blogging slumps are real. I don't know if you can tell or not, but I am in a blogging slump. Over the last few weeks I have become way too focused on increasing my numbers over my social media platforms meaning that creating content for my blog has taken a back seat. It is starting to have an effect on my blog stats and my motivation to write, if you're guessing - I have none, whatsoever! I am well and truly in a blogging slump. There are so many reasons why some of us fall into a blogging slump, and it can be very discouraging when you put some much time, effort and a hell of a lot of patience to make your blog a success. If you're a blogger, it doesn't matter who you are, it's inevitable that you will fall into a blogging slump at some point. However it's time for me to stop feeling sorry for myself, move away from the sofa and create some good content, I'm sure that the reason you're here reading this post is that you're feeling the same. So let's get out this slump and be proactive. Before we get our teeth into this post, it can always be a good idea to figure out why you're in a blogging slump in the first place. Perhaps you have become too busy in your personal life, you've run out of blog post ideas, or you just don't feel motivated to write and now your blog seems to be suffering and failing to grow. There are so many things that can make us feel as if we are heading into a blogging slump. For me, I have been way too distracted with my daughter starting nursery, making sure she settles and a new arrival in the family. My personal life has been crazy and therefore left me feeling unmotivated and unenthusiastic when it comes to writing posts. Blogging slumps get the best of us and so I thought that with this post we could help climb out of this blogging slump and get back to creating good content. Sometimes life just gets in the way and this is okay. If you have a lot going on the last thing you want to do is force out a post, that's probably too rushed and crap, your readers will see that you're clutching at straws and you could loose regular readers. Ease the pressure and brainstorms a few ideas on a piece of paper and work from there, don't just sit at your computer hoping inspiration will come your way. It just may not work in your favour. I have found that when you're in the throes of writing good content, take five minutes each day to write down a few ideas for blog post, you could even host a poll on twitter asking your followers what content they would like you to share. Even some bloggers in a slump, write ' # blog post ideas' as a post so you won't be short of a few ideas when the slump comes around. Are you use to blogging five, three or two times a week? Is the pressure of creating content and writing making you feel absolutely exhausted. If it is, then you simply need to ease up and take a break. If you're feeling the blogging slump, walk away from your laptop and take a break for a week or so. It's so important to allow yourself to take a break if you need it. It's always a good idea to let your readers know what is going on and tell them much how time you will need, I am pretty sure that many with sympathise with you too. The last thing you want to do is create content for the sake of it, your readers will recognise the slump content and veer off somewhere else for enthusiastic content, so don't force it. There's no reason why you should be blogging if you are not enjoying it, take time out and come back with a fresh head full of ideas. One of my favourite places to go to is Pinterest for inspiration, but I also love to have a look on Bloglovin and even some magazines. There are certainly not short of an idea or two. It may also be a good idea to try and write a list or even create a blog post about ideas for blog post to help you feel inspired to write a few. By seeing an idea for a blog post can motivate you to actually write one, and then hopefully spark more ideas until you're back on track, blogging consistently. Perhaps there is a blogging month coming up, such as blogtober or blogmas. These months are never short of a few ideas to help get you inspired and writing! 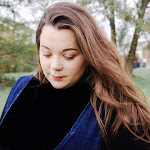 Normally when I feel as if I am getting deeper and deeper into a blogging slump I will go and read some of my favourite bloggers for inspiration. However, whatever you do, don't get sucked into comparing yourself or your blog to others. When I do this I tend to get an overwhelming feeling of self-doubt and I even begin questioning the whole 'is blogging for me?'. I adore blogging, of course. But we have all had moments of self doubt where we do nothing but compare. So, focus on what you are doing, on your blog and this is something that I have been trying to work hard at this year. Not allowing myself to feel bad about sitting at home in my comfys while other bloggers are attending award ceremonies and amazing luxurious press trips. It's about you! In the midst of a blogging a slump a great way to begin the inspiration cycle is to sit and think about what makes you click a link? By creating content that keeps you interested will certainly be a popular post, as you will be able to tell withing your post. For me, a book review on a book that I would never read will never appeal as much as a detailed review on a new mascara I need to try. What can I say? I'm weak! Do you know what? Powering through a blogging slump won't last forever. Sometimes you have to be tough on yourself and power through because the deeper you get into a blogging slump the more likely you'll be put off forever, sometimes all it takes is a little while push into the right direction. In this currently blogging slump it's made me realise that I need to stop waiting for my blog to become successful. The only person that can make this happen is me, and it won't happen while I am sitting on the sofa feeling sorry for myself. It's going to take a lot of time, effort and a lot of patience. But I am ready to become more proactive. What do you normally do when you're in a blogging slump? 22 comments on "What To Do If You're in a Blogging Slump"
I am really getting into podcasts at the moment! I embraced it. I needed a break, it was starting to change the way I looked at experiences and events and it was encouraging some of the more negative aspects of my introverted tendencies. Initially I fretted which made it worse. I got back into when there was a reason to do so, often in reaction to something I had read. Generally, the more I read, the more I write as it helps to spark something. Yes, this is exactly what it was becoming for me! Yes, I use to take part in Little Loves, perhaps I need to get back into that! Read some new blogs for some inspiration! I use to compare all the time, but there really wasn't any point because we are all at different stages with our blogs! A good brain storming session can do wonders. I am always second guessing whether blogging is for me when I get in these slumps, so I always take a break and that normally helps. Oh no, try not to stress yourself out about, it will come to you in time I am more than sure. Just keep in the communities and hopefully you'll feel inspired. Yes, me too! Pinterest is also a fantastic distraction.